I read the second name as F. Barwick and the further consideration as being for Fouls. There is a Frederick Barwick living at Moorsholm in the 1911 census. At that time he was 34 years old and his occupation is “Ironstone Mine Deputy Underground”. 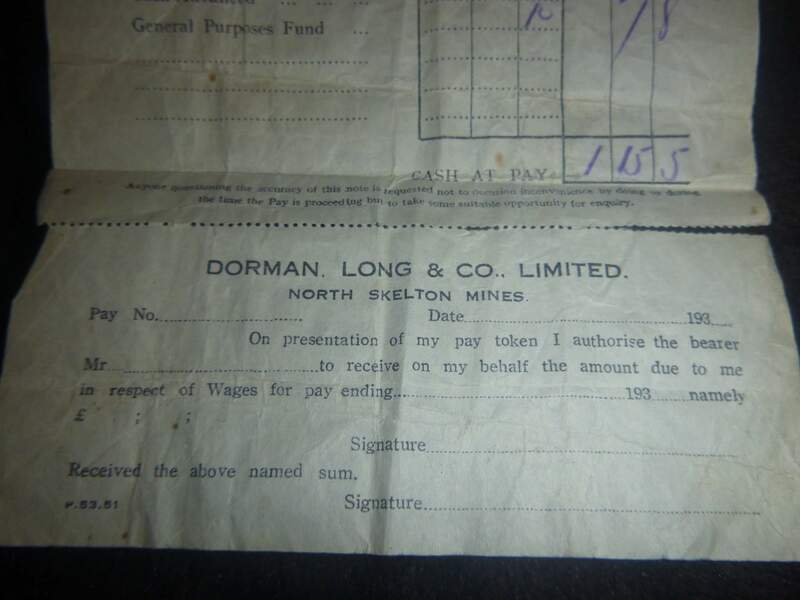 This is unlikely to be the worker on the payslip, but it is possible that he had a son who would be the right age to work as the second man in a team. This is very interesting. My grandfather’s brother died at Eston mines in 1890. I tried some years ago to trace mine records for Eston but seemingly they are no longer. 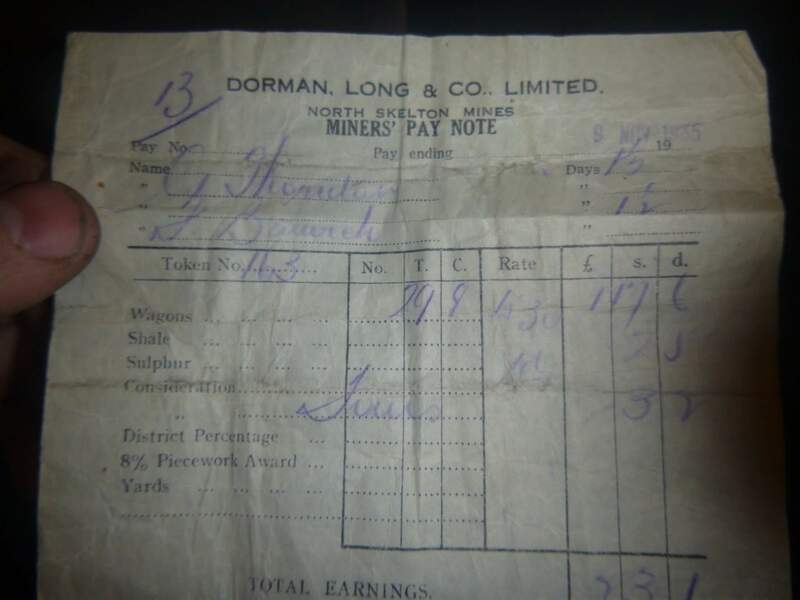 Moved when the mines closed and shunted around Record Office, Middlesbrough Library, one of the steel companies ……..
My g-grandfather, grandfather and his three brothers, plus numerous of their sons were miners. 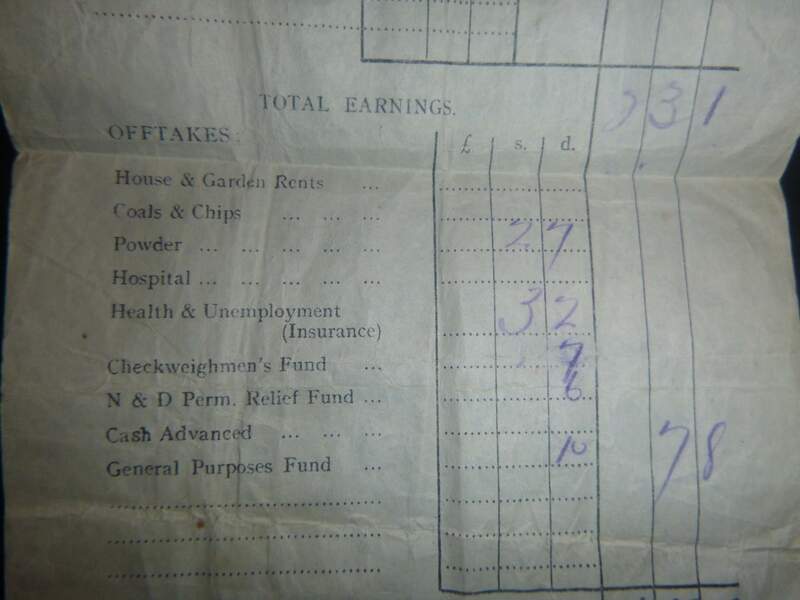 Interesting to see from this payslip some of what there working lives were like. I’m sure a lot of it is now available in Teesside Archives as a result of the British Steel Archive project a few years ago. Description	Collection of leases, agreements and licenses from ironstone mining operations at Eston and Chaloner Mines. Many thanks, will try there. It’s some time since I tried to source the records. At that time BS thought they were with TA, and vice versa! !